Finding healthcare products for those confined to a bed may seem like a complicated and confusing endeavor. With so many products available to bedridden patients, being able to identify the “must have” products can save patients money. Even though each patient has their specific needs, there can be products that are essential to those who are homebound or bedridden. We here at HPFY can help identify some of these very important products for bedridden patients. This bed rail is easily installed on either side of the bed and provides the user with additional security when getting in or out of bed. The height can be adjusted from 19”-22” and can support up to 300 pounds. By elevating your head and shoulders, this bed wedge shaped cushion can improve breathing and support the spine and back muscles. 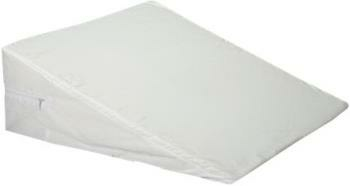 This wedge can also be used to elevate your legs/feet and has a poly/cotton cover for easy care. For those that are bedridden, using the bathroom may be difficult or even impossible. This plastic urinal can allow those that are bedridden to empty their bladders without soiling bed linens. Available in both male and female versions, this bedside urinal is lightweight and has a sturdy handle to prevent spills while handling up to 35 fluid ounces. 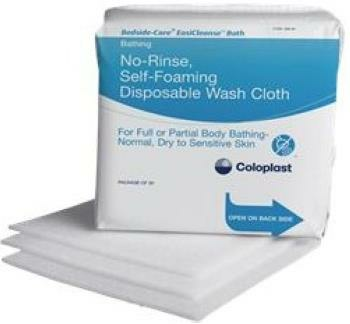 These Disposable washcloths can be used for bedside bathing, cleansing hygiene, and other skin care needs by being nonirritating, pH balanced, and latex free. Proper hygiene is crucial!! Bedridden patients have a tough time with toileting and this bedside commode can be assembled quickly without tools and can be used bedside or over an existing toilet. It can fold down for storage and is adjustable to accommodate a wide range of patient sizes and can support up to 400 pounds. This emergency alert system has four different methods for waking bedridden patients in the event of a fire: audible alerting, audible announcing, tactile alerting, and visual notification. 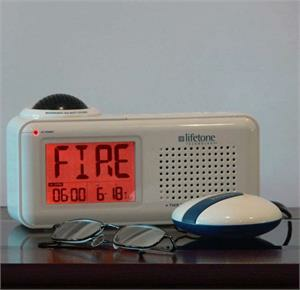 By listening to your existing smoke detectors this unit can alert users to potentially life-threatening dangers. 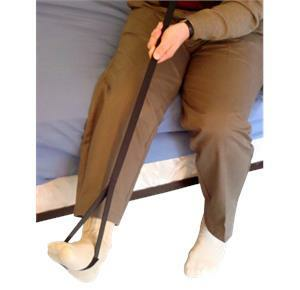 Patients that are bedridden but may need to get in and out of bed can benefit from this nylon webbed lifter. 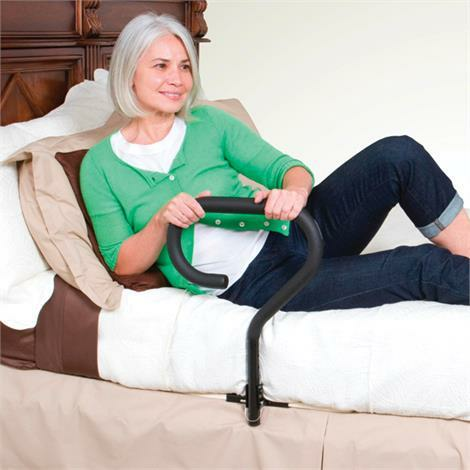 It is perfect for those with limited leg mobility to raise or lower their legs to the floor or even a wheelchair. Transfers are now simpler and easier. Hygiene is important, even for those who are in bed for long periods of time. 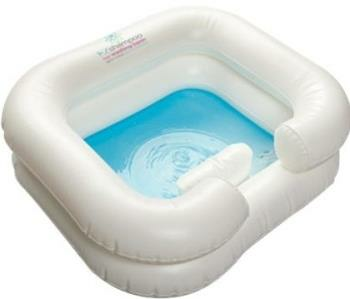 This inflatable basin makes shampooing the hair easier in bed. When it’s inflated it provides safe, secure support of the head and shoulders and has a built in inflatable headrest to make in-bed shampooing significantly easier. It is 8 inches deep and made from top grade vinyl for peace of mind. It even comes with a convenient drainage hose for easy cleanup. 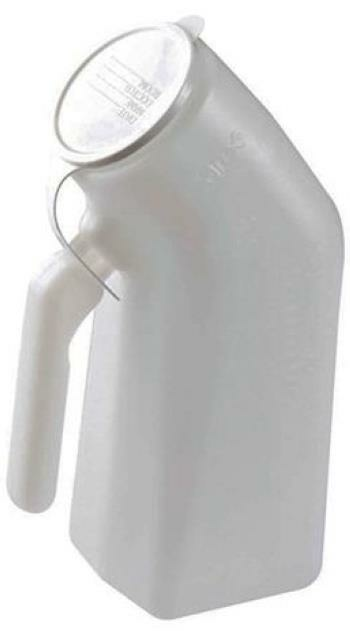 For anyone with limited mobility reaching for something can be difficult. This can be magnified for those who are bedridden and this carex reacher can help overcome this limitation. Not only can it grab objects slightly out of reach, but the magnetic tip makes it easier to pick up small metallic objects. Transferring a patient from bed to a wheelchair or commode/shower chair can injure not only the patient but the caregiver alike. 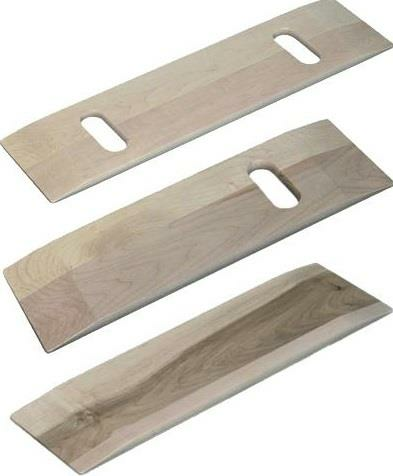 This wooden transfer Board allows for the easier transfer of bedridden patients by sliding them from bed to the wheelchair/commode or vice versa. This is safer for both the caregiver and the patient and can minimize the risk of falls which lead to injuries such as fractures or broken bones. These wooden boards are coated for smooth sliding to minimize any shearing and make the transfer easier. Being bedridden can lead to a wide range of potential health issues and finding medical aids and products to avoid or minimize these risks is crucial. By using some simple common sense and medical aids that can help with everyday tasks, you can hopefully avoid or minimize these health risks that can easily become magnified and serious.